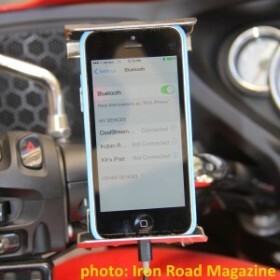 Road Iron Magazine has reviewed the CoolStream Duo as a Victory Cross Country Bluetooth solution for connecting your iPhone or Android to the motorcycle audio system. The 2015 Victory Cross Country comes with a 30-pin iPod audio cable instead of a lightning connector. Owners of iPhone 5, iPhone 6 or Android phones will be challenged to use this cable for connecting to the Victory’s stereo system. Road Iron tested the CoolStream Duo as a Bluetooth solution to this problem. The Victory Cross Country’s 30-pin connector is on the left side of the fairing. 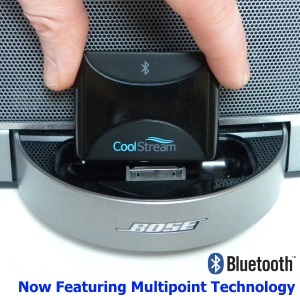 Kit Maira, who reviewed the CoolStream Duo for Road Iron, was excited to test the CoolStream Bluetooth adapter since it would work with both iPhones and Droid phones. 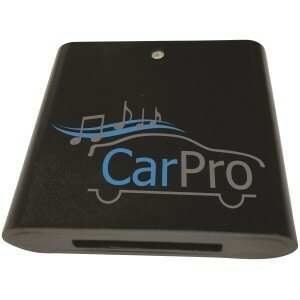 He found the CoolStream Duo to be a reasonably priced device for streaming music and audio (such as from a GPS) through the audio system of the Victory via Bluetooth from the phone, iPhone or Droid. iPhone 6 is connected to CoolStream Duo via Bluetooth. 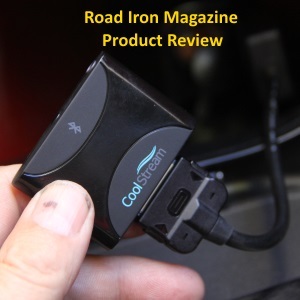 The Road Iron review also noted that “connecting the phone to the CoolStream Duo couldn’t be easier”. 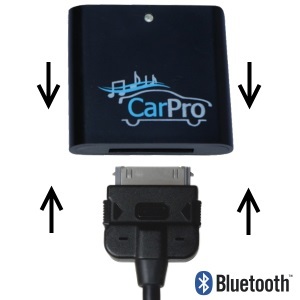 Plug the CoolStream Duo into the 30-pin iPod cable. Start the bike and the CoolStream powers on automatically. On the iPhone go to Settings -> Bluetooth. Tap CoolStream Duo to pair. Play music. It will stream directly to the Victory’s stereo. 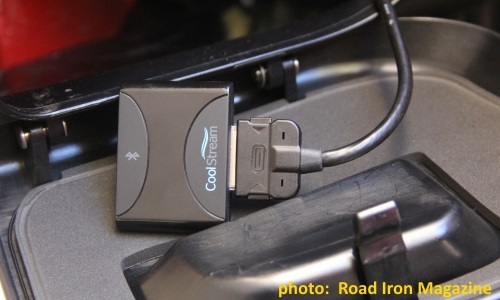 Click on Road Iron Review to read Kit Maira’s full product review of the CoolStream Duo.